Want to know something the Bible goes over and over and over again? I’m not talking about love or peace or forgiveness. I’m talking vengeance. Don’t get me wrong. I like a good Marvel movie or book as much as the next gal. Sometimes more. Sometimes maybe too much. I might be watching Earth’s Mightiest Heroes as I write this. Who knows? 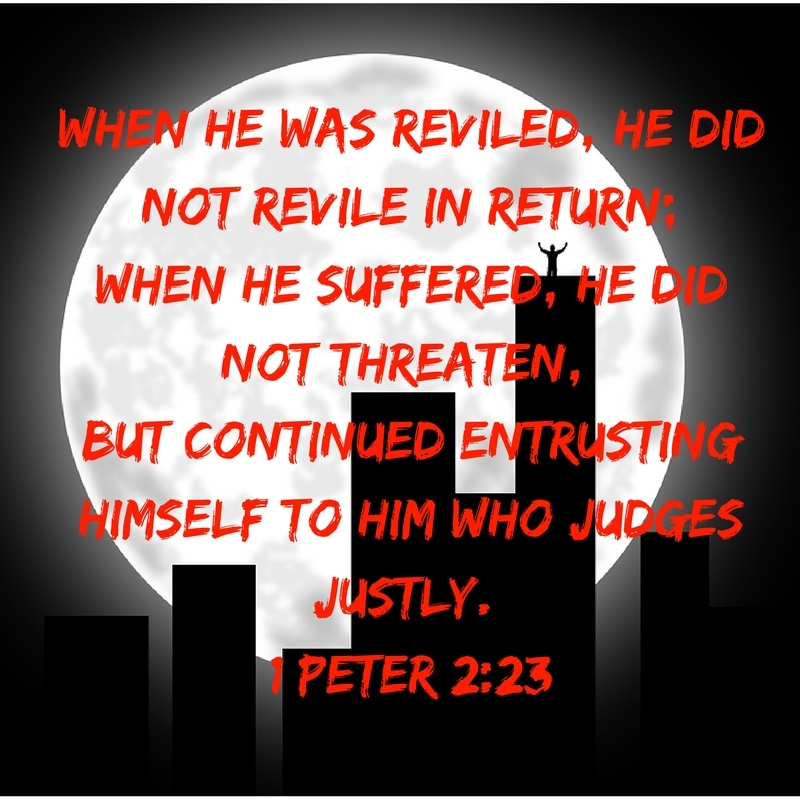 But seriously, take a look with me at what the Scripture says about revenge. It’s in there a shocking number of times. Well, that’s just one instance of… Oh, wait. Okay, so twice it’s not like… Hm. I’d almost say Scripture is beating a dead horse about the subject, but it seems like it’s actually all about blessing the dead horse and repaying the dead horse’s evil with good. Wait, what? Seeking to get even robs you of your peace. It reveals a lack of trust in the Lord. It obliterates an opportunity to show the love of Christ. Did you notice the part where it says “If possible, so far as it depends on you”? It won’t always be possible to live peaceably with everyone. Where there is sin, you may be called to lovingly confront. Whether that person responds peacefully or with the same kind of love is up to them. But, beloved, “never avenge yourselves.” If this seems impossible, well, it is. This is something we need to ask Jesus to do in and through us. Every day. Every time a car cuts us off or a coworker whispers behind our backs. Let Jesus be your example and your strength. That way, as He works in you and through you to take a bad situation and do something good, God gets all the glory. So by all means, dress like Thor or Wasp or Ms. Marvel or any of the other Avengers for your costume parties this year. But when you do, use the opportunity as a reminder for your heart that the one we really want to look most like is Jesus. Adapted from the Bible study companion to Turtles in the Road.